An obelisk (from Greek "spit, nail, pointed pillar") is a tall, narrow, four-sided, tapering monument which ends in a pyramid-like shape at the top. Ancient obelisks were often monolithic whereas most modern obelisks are made of several stones and can have interior spaces. The term stele (plural: stelae) is generally used for other monumental standing inscribed sculpted stones. Because of the Enlightenment-era association of Egypt with mortuary arts, obelisks became associated with timelessness and memorialization. There are smaller obelisks or similar forms to be found in European, Asian, and American cemeteries or as World War I memorials in rural Australian towns. Obelisks were prominent in the architecture of the ancient Egyptians, who placed them in pairs at the entrance of temples. The word "obelisk" as used in English today is of Greek rather than Egyptian origin because Herodotus, the Greek traveller, was one of the first classical writers to describe the objects. Cleopatra's Needle is the popular name for each of three Ancient Egyptian obelisks re-erected in London, Paris, and New York City during the nineteenth century. The London and New York ones are a pair, while the Paris one comes from a different original site where its twin remains. Although the needles are genuine Ancient Egyptian obelisks, they are somewhat misnamed as they have no particular connection with Queen Cleopatra VII of Egypt, and were already over a thousand years old in her lifetime. The Paris "needle" was the first to be moved and re-erected, and the first to acquire the nickname. The pair are made of red granite, stand about 21 metres (68 ft) high, weigh about 224 tons and are inscribed with Egyptian hieroglyphs. They were originally erected in the Egyptian city of Heliopolis on the orders of Thutmose III, around 1450 BC. The material of which they were cut is granite, brought from the quarries of Aswan, near the first cataract of the Nile. The inscriptions were added about 200 years later by Ramesses II to commemorate his military victories. The obelisks were moved to Alexandria and set up in the Caesareum - a temple built by Cleopatra in honor of Mark Antony - by the Romans in 12 BC, during the reign of Augustus, but were toppled some time later. This had the fortuitous effect of burying their faces and so preserving most of the hieroglyphs from the effects of weathering. The New York needle, PompeyÕs Pillar, was erected in Central Park on February 22, 1881. It was secured in May 1877 by judge Elbert E. Farman, the then-United States Consul General at Cairo, as a gift from Khedive for the United States remaining a friendly neutral as the European powers-France and Britain-maneuvered to secure political control of the Egyptian Government. The original idea to secure an Egyptian obelisk for New York City came out of the March 1877 New York City newspaper accounts of the transportation of the London obelisk. If Paris had one and London was to get one, why should not New York get one? The newspapers mistakenly attributed to a Mr. John Dixon the 1869 proposal of the Khedive of Egypt to give the United States the remaining Alexandria obelisk as a gift for increased trade. Mr. Dixon was the 1877 contractor who arranged the transport of the London obelisk and denied the newspaper accounts. In March 1877 and based on the newspaper accounts, Mr. Henry G. Stebbins, then Commissioner of the Department of Public Parks of the City of New York, undertook to secure the funding to transport the obelisk to New York. When the railroad magnate William H. Vanderbilt was asked to head the subscription, he generously offered to finance the project with a donation of over $100,000. Mr. Stebbins then sent two acceptance letters to the Khedive through the Department of State which forwarded them to Judge Farman in Cairo. Realizing that the New York accounts were false and that he might be able to secure one of the two remaining upright obelisks - either the mate to the Paris obelisk in Luxor or the London mate in Alexandria; Judge Farman formally asked the Khedive in March 1877 and by May 1877 he had secured the gift in writing. 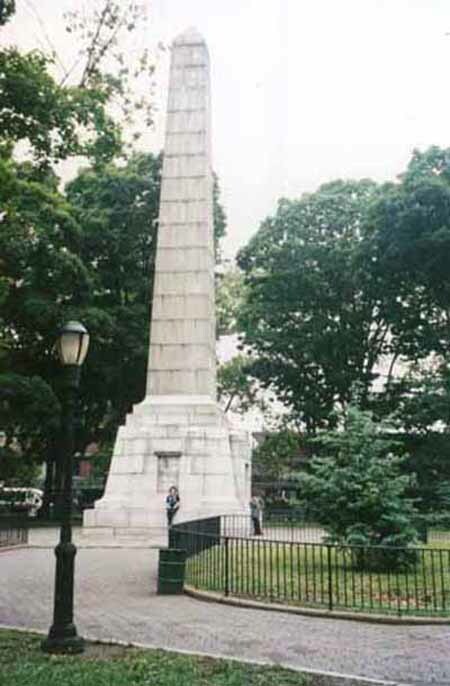 The formidable task of moving the Obelisk from Alexandria to New York was given to Henry Honychurch Gorringe, a lieutenant commander on leave from the U.S. Navy. CleopatraÕs Needle is a 240-ton, 68 foot 10 inch, single shaft of red granite from the Assu‰n (formerly Syene) Quarries at the 1st Cataract of the Nile. The 220-ton granite needle was first shifted from vertical to horizontal, nearly crashing to ground in the process, then put into the hold of the steamship Dessoug which set sail 12 June 1880. 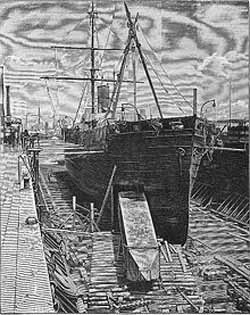 It took 32 horses hitched in 16 pairs to bring it from the banks of the Hudson River to Staten Island, finally arriving on 20 July 1880. The final leg of the journey was made across a specially built trestle bridge from Fifth Avenue to its new home on Greywacke Knoll, just across the drive from the then recently built Metropolitan Museum of Arthieroglyphics. Most Worshipful Jesse B. Anthony, Grand Master of Masons in the State of New York, presided as the cornerstone for the obelisk was laid in place with full Masonic ceremony on October 2, 1880. Over nine thousand Masons paraded up Fifth Avenue from 14th Street to 82nd Street and it was estimated that over fifty thousand spectators lined the parade route. The benediction was presented by R.W. Louis C. Gerstein. The surface of the stone is heavily weathered, nearly masking the rows of hieroglyphics engraved on all sides. Photographs taken near the time the obelisk was erected in the park show that the inscriptions or hieroglyphics, as depicted below with translation, were still quite legible and date first from Thutmosis III (1479-1425 BCE) and then nearly 300 years later, Ramesses II the Great (1279-1213 BCE). The stone had stood in the clear dry Egyptian desert air for nearly 3000 years and had undergone little weathering. In a little more than a century in the climate of New York City, pollution and acid rain have heavily pitted its surfaces. 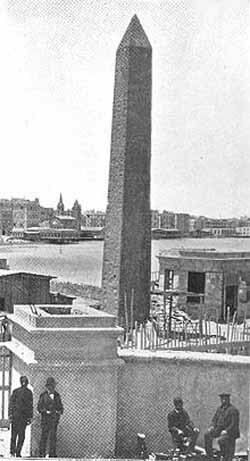 The earliest temple obelisk still in its original position is the 20.7 m / 68 ft high 120 tons red granite Obelisk of Senusret I of the XIIth Dynasty at Al-Matariyyah part of Heliopolis. The obelisk symbolized the sun god Ra, and during the brief religious reformation of Akhenaten was said to be a petrified ray of the Aten, the sundisk. It was also thought that the god existed within the structure. It is hypothesized by New York University Egyptologist Patricia Blackwell Gary and Astronomy senior editor Richard Talcott that the shapes of the ancient Egyptian pyramid and obelisk were derived from natural phenomena associated with the sun (the sun-god Ra being the Egyptians' greatest deity). The pyramid and obelisk might have been inspired by previously overlooked astronomical phenomena connected with sunrise and sunset: the zodiacal light and sun pillars respectively. Not all the Egyptian obelisks have erectians in the Roman Empire were set up at Rome. Herod the Great imitated his Roman patrons and set up a red granite Egyptian obelisk in the hippodrome of his new city Caesarea in northern Judea. This one is about 40 feet tall and weighs about 100 tons. It was discovered by archaeologists and has been re-erected at its former site. In Constantinople, the Eastern Emperor Theodosius shipped an obelisk in AD 390 and had it set up in his hippodrome, where it has weathered Crusaders and Seljuks and stands in the Hippodrome square in modern Istanbul. This one stood 95 feet tall, weighing 380 tons. Its lower half reputedly also once stood in Istanbul but is now lost. The Istanbul obelisk is 65 feet tall. Rome is the obelisk capital of the world. 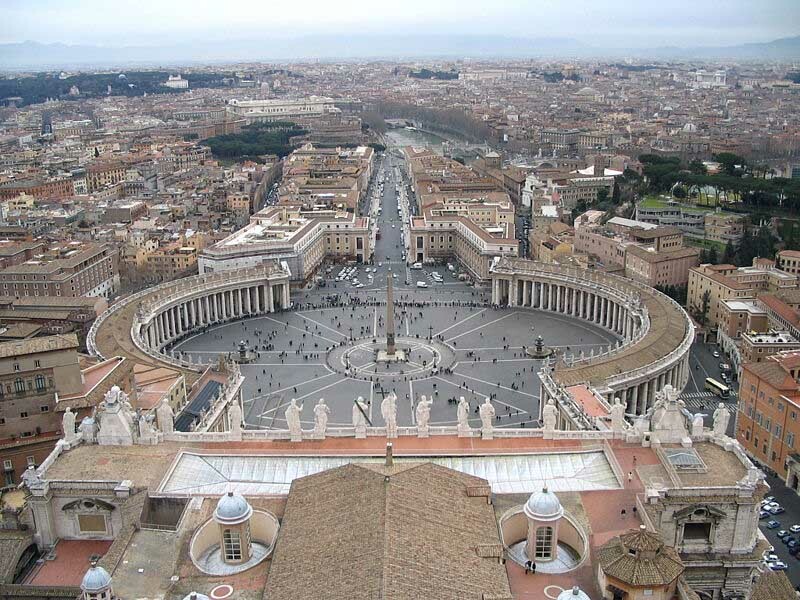 The most prominent is the 25.5 m/83.6 ft high 331 ton obelisk at Saint Peter's Square in Rome. The obelisk had stood since AD 37 on its site on the wall of the Circus of Nero, flanking St Peter's Basilica. The obelisk, half-buried in the debris of the ages, was first excavated as it stood; then it took from April 30 to May 17, 1586 to move it on rollers to the Piazza: it required nearly 1000 men, 140 carthorses, 47 cranes. The re-erection, scheduled for September 14, the Feast of the Exaltation of the Cross, was watched by a large crowd. It was a famous feat of engineering, which made the reputation of Fontana, who detailed it in a book illustrated with copperplate etchings, Della Trasportatione dell'Obelisco Vaticano et delle Fabriche di Nostro Signore Papa Sisto V (1590), which itself set a new standard in communicating technical information and influenced subsequent architectural publications by its meticulous precision. Before being re-erected the obelisk was exorcised. It is said that Fontana had teams of relay horses to make his getaway if the enterprise failed. When Carlo Maderno came to build the Basilica's nave, he had to put the slightest kink in its axis, to line it precisely with the obelisk. An obelisk stands in front of the church of Trinita dei Monti, at the head of the Spanish Steps. Another obelisk in Rome is sculpted as carried on the back of an elephant. Rome lost one of its obelisks, which had decorated the temple of Isis, where it was uncovered in the 16th century. The Medici claimed it for the Villa Medici, but in 1790 they moved it to the Boboli Gardens attached to the Palazzo Pitti in Florence, and left a replica in its stead. Several more Egyptian obelisks have been re-erected elsewhere. The best-known examples outside Rome are the pair of 21 m/68 ft Cleopatra's Needles in London(69 feet 187 tons) and New York City(70 feet 193 tons) and the 23 m/75 ft 227 ton obelisk at the Place de la Concorde in Paris. Obelisk type monuments are also known from the Assyrian civilisation, where they were erected as public monuments that commemorated the achievements of the Assyrian king. The White Obelisk (named due to its color), was discovered by Hormuzd Rassam in 1853 at Nineveh. The obelisk was erected by either Ashurnasirpal I (1050-1031 BC) or Ashurnasirpal II (883-859 BC). The obelisk bears an inscription that refers to the king's seizure of goods, people and herds, which he carried back to the city of Ashur. The reliefs of the Obelisk depict military campaigns, hunting, victory banquets and scenes of tribute bearing. A number of obelisks were carved in the ancient Axumite Kingdom of Ethiopia. Together with (21 m high) King Ezana's Stele, the last erected one and the only unbroken, the most famous example of axumite obelisk is the so-called (24 m high) Obelisk of Axum. It was carved around the 4th century AD and, in the course of time, it collapsed and broke into three parts. In these conditions it was found by Italian soldiers in 1935, after the Second Italo-Abyssinian War, looted and taken to Rome in 1937, where it stood in the Piazza di Porta Capena. Italy agreed in a 1947 UN agreement to return the obelisk but did not affirm its agreement until 1997, after years of pressure and various controversial settlements. In 2003 the Italian government made the first steps toward its return, and in 2008 it was finally re-erected. The largest obelisk, Great Stele at Axum, now fallen, at 33 m high and 3 by 2 meters at the base (520 tons) is one of the largest single pieces of stone ever worked in human history (the largest is either at Baalbek or the Ramesseum) and probably fell during erection or soon after, destroying a large part of the massive burial chamber underneath it. The obelisks, properly termed stelae or the native hawilt or hawilti as they do not end in a pyramid, were used to mark graves and underground burial chambers. The largest of the grave markers were for royal burial chambers and were decorated with multi-story false windows and false doors, while nobility would have smaller less decorated ones. While there are only a few large ones standing, there are hundreds of smaller ones in "stelae fields". The Romans commissioned obelisks in an Egyptian style. Rome - there are five ancient Roman obelisks in Rome. See Obelisks in Rome. Walled Obelisk, Hippodrome of Constantinople. Built by Constantine VII Porphyrogenitus (905-959) and originally covered with gilded bronze plaques. The obelisk stone (rock) crosses of Kerala form another category of obelisks. The Syrian Christians or St. Thomas Christians of Malabar on the west coast of India had close contacts with the Egyptian and Assyrian worlds, the original habitat of obelisks. The "Ray of the Sun" and Horus concepts are to be found in the idea of Christ and in the orientation of the churches East-West. The use of the cylinder and socket method is found in both structures. 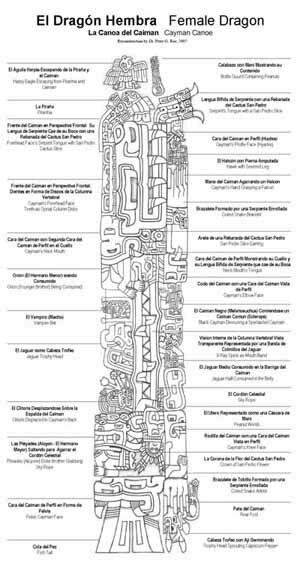 The "Tello Obelisk", from Chavin de Huantar, which used to be housed in the Museo Nacional de Arqueologia, Antropologia e Historia del Peru in Lima until it was relocated to the Museo Nacional de Chavin in July 2008, is a monolith stele with obelisk-like proportions. Ellie sitting on the base of the obelisk across from her home.